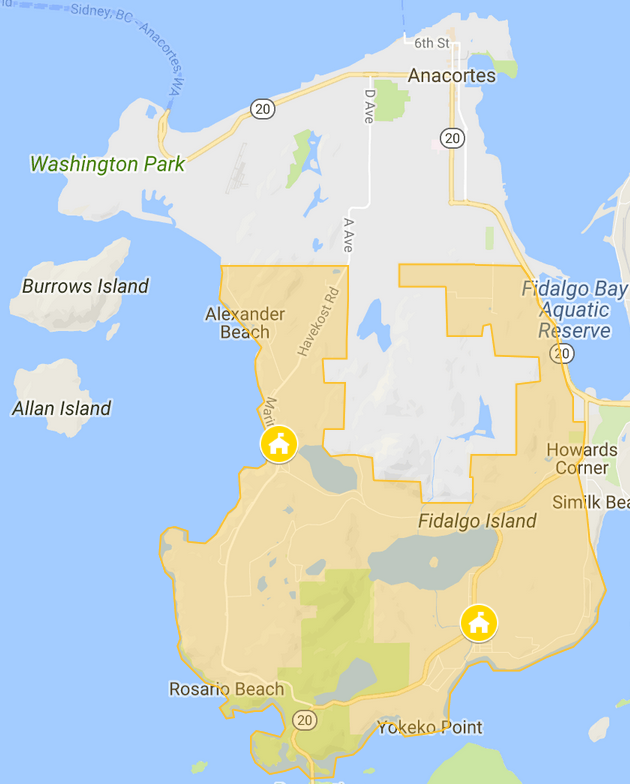 Located on the southern end of Fidalgo Island in the San Juan Islands of Washington State, Skagit County Fire Protection District 11 was officially incorporated October 14,1959 protecting the area of Dewey Beach. Today the District, also known as the Mt Erie Fire Department, covers 15 square miles and approximately 3000 people with an assessed value of over $850,000,000. The District is staffed by all volunteers. Overseen by an elected board of 3 Commissioners, the District is staffed by dedicated volunteer firefighters who respond to over 300 alarms a year. We train to extinguish houses and commercial structures, wildland, motor vehicle, and fuel fires; perform search and rescue of trapped victims; and exposure protection for nearby structures. We provide pre-hospital care in homes, on roadways, and in parks throughout the District. Care includes CPR, first aid, airways, defib, and narcan among others. Many of our volunteers are EMTs. We perform many types of rescue including vehicle extrication and assisting lost or injured hikers and climbers. We frequently provide manpower for operations within the Anacortes Community Forest Lands. Awareness and Operations level support for hazardous materials incidents including fuel spills, flooding, and the decontamination of the public and responders. Meetings are open to the public and held at 6pm on the second Monday night of each month at the Dewey Beach Community Hall. Outdoor burning is generally allowed in the fire district. You must follow county regulations and not burn during a burn ban. See our outdoor burning page for more information. Fire District 11 was rated 6 by WSRB. If you do not live near a hydrant you may qualify for a tender credit on your homeowner’s insurance. Download the WSRB tender credit document below.